The story of the Lowell Milken Family Sports and Recreation Complex begins in September 2000, with the outbreak of the Second Intifada, or terror war against Israel. With violence against Israelis at an all-time high, Ariel residents became reluctant to travel outside of the city unless absolutely necessary. While staying home was ultimately a safe move for locals, it also disrupted the fabric of normal daily living, including trips to recreational facilities outside of the city. Ariel’s then-mayor, Ron Nachman, was determined to help residents keep their daily routines despite the violence around them. After a groundbreaking campaign to raise funds and generous donations from the Milken family, Pastor John Hagee, and others, the full-scale Lowell Milken Family Sports and Recreation Complex opened in 2008. 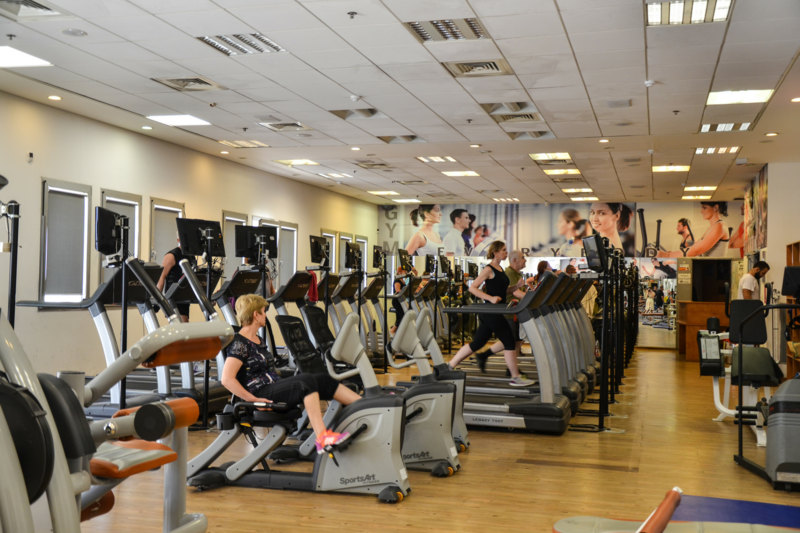 Since then, membership has ballooned to over 10,000 members – and, in advance of expected growth in the City of Ariel and in the student population of nearby Ariel University, the facility is due for a much-needed expansion. The current facility covers 340 square meters (3660 square feet) and includes cardio machines, strength machines, and a free weights section. Space is limited and crowding is common at peak hours. With the help of an additional floor, the complex’s fitness facilities will expand to a total expansion of 865 square meters (9310 square feet). The fitness center will move to the upper floor and double not only in size, but in number of machines for each section – and there are also plans for a play area and for crucial service areas to be added. Construction is expected to be complete during the first half of 2019.